By Melissa Unsell, of Vinously Chic. ‘Tis the Holiday Season – one of my favorite times of the year when joy abounds and my heart is filled with warmth as celebrations commence and I merrily enjoy the company of family and friends. The greatest compliment to this season are the simple pleasures of cocktails (ones focused around wine of course! ), and fun gifts for the season. Combine the vodka, Champagne and juice in a large-stemmed red wine glass. Add crushed ice and stir until the mixture is well chilled. Twist the orange strips over the glass, drop them in, and serve. Shake all but the last ingredient well with ice; strain into a highball glass. Add the soda, stir gently and garnish with half a slice of orange. Below are some fun gifts for the season! AND, they are all under $100! 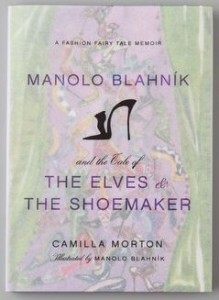 Perfect book for a hostess gift, or any shoe fanatic you know! Purchase it here. 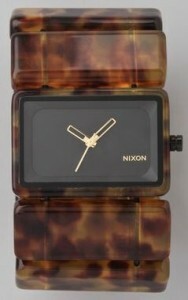 This Nixon watch is a timeless piece you can wear for many years to come. Get yours here. 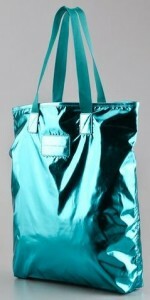 This Marc by Marc Jacobs tote also makes a hostess gift, or a fun way to wrap a gift! I wish you a season of merriment, bliss, and style!